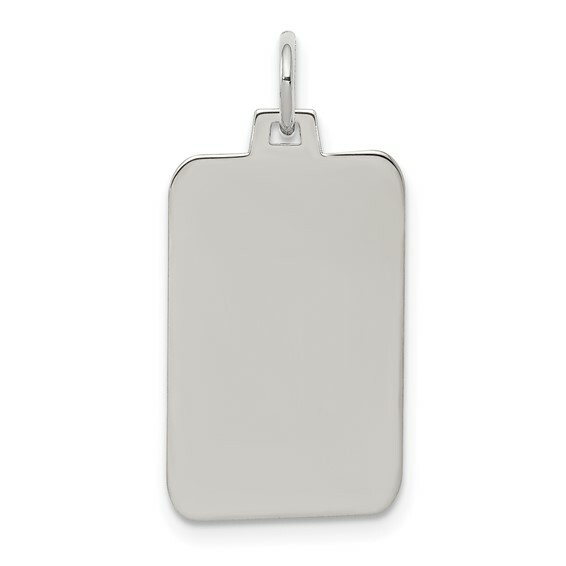 Sterling Silver Engravable Rectangle Disc Charm. Dimensions: 3/4 inch tall by 7/16 inch wide without bail. Weight: 1.2 grams. .018 inches thick. Made in USA. This piece is an addition to an existing piece of jewelry I own. I am very happy with how it turned out.